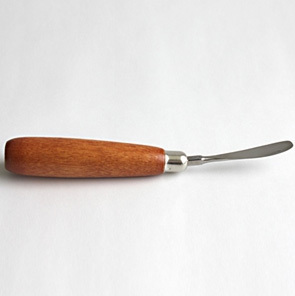 * This stainless steel flexible spatula hand tool is set in a wooden handle for easy and comfortable gripping. * The flexibility of the stainless steel blade allows for easy mobility of encaustic paints. * Blade slightly wider than its companion tool - EN68T. Approximate length - 6 1/2".